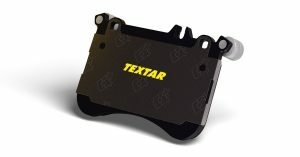 Tag Archive | "TMD Friction"
Global leader in OE brake technology, TMD Friction, has developed Textar Q+, an innovative dampening shim to provide the ultimate noise reduction, which is now available on a wide range of its premium Textar brake pads. As an OE supplier, TMD Friction has an established reputation for excellent braking performance and as modern vehicles become quieter, the company is continuously developing new technology to reduce brake noises. An established but also complex possibility to prevent the transmission of brake noise from the brake pad to the brake system is the use of dampening shims on the backing plate. They prevent direct contact between brake pistons and backing plates. Thus vibration transfer will be effectively dampened. Textar has extensively developed these dampening shims with the innovative textile-like texture, which dampens and decouples the brake pad effectively from other braking components. The texture is complemented with a unique adhesive to further enhance the dampening function, as it also dampens high frequent vibrations. These unique components are called Q+, meaning ‘quiet’, while the ‘+’ symbolises the improved dampening characteristics. Textar Q+ dampening shims can be easily identified through the textile surface structure as well as the imprinted Q+ Logo. Comprehensive tests, including a dynamometer test and on the road test, showed significant comfort improvements with Q+. 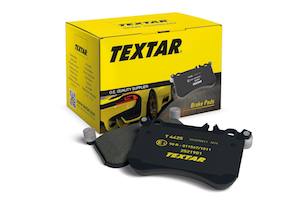 The best results will be achieved when new Q+ brake pads are combined with Textar brake discs as these components complement each other. 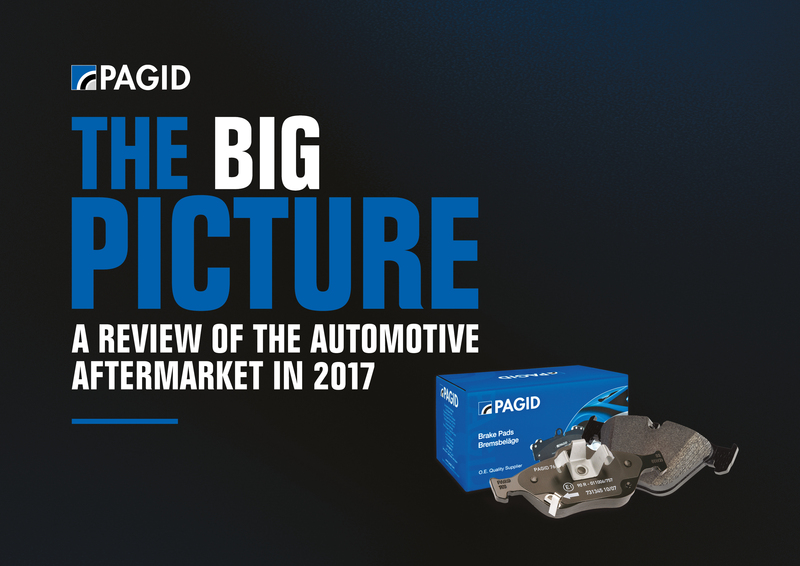 Pagid, the UK’s biggest-selling braking brand, has announced the results of its major review of the automotive aftermarket, after surveying 1,000 mechanics nationwide. 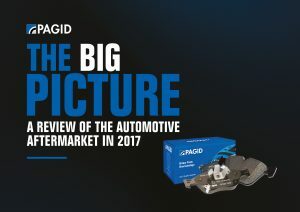 ‘The Big Picture’ is Pagid’s mission to understand the challenges facing workshops in the automotive aftermarket in 2017. 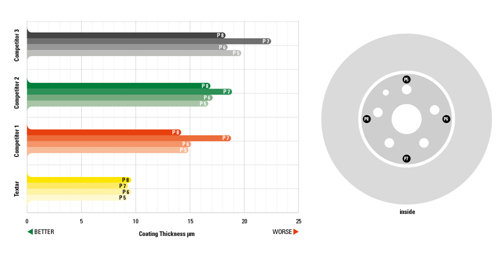 The extensive survey investigated the perceptions of what technicians look for when choosing brake parts, their opinions on braking brands, the biggest challenges mechanics and workshops faced in 2017, and more. The results revealed a reassuring result for road safety with product quality featuring as the most important factor when looking for a braking brand. Forty-four per cent of those working in garages agreed with this, thoroughly beating price – with only 16% of respondents placing this as the most important factor. When questioned on issues and pressures facing the automotive industry, the results showed that costs, finding reliable suppliers, attracting customers and coping with demand were all present in garages’ concerns for 2017. There was good news for Pagid in the survey, with 94% of those surveyed ranking Pagid as either excellent or good, and of those 61% ranked Pagid as excellent. Meanwhile, 76% of garages said they buy Pagid always or often. At Pagid, we are continually developing our products and range for our valued customers, so it’s vital for us to listen to them to understand their issues, discover what they look for in braking, and find out how we can make their workdays more efficient”. The Big Picture review of the automotive aftermarket will now be an annual survey to discover the latest industry challenges and automotive developments for each year. Following the recent sale of Andrew Page to LKQ Corporation, TMD Friction UK has been in discussions with the company to agree a deal to reinstate its relationship to distribute Mintex products. Steve Firbank, managing director of TMD Friction UK, said: “We have a strong relationship with LKQ and it was a natural progression to strengthen our relationship with the company for Andrew Page to distribute our Mintex products. TMD Friction will also launch its Textar product into the UK market in 2017. Textar is a premium original equipment product and will offer factors and garages an alternative brand. Andrew Page had been amoung the largest distributors of TMD products, but the latter had ceased supply in the wake of Andrew Page’s well-publicised financial trouble. Brake brand Pagid has launched a summer competition for the month of July. 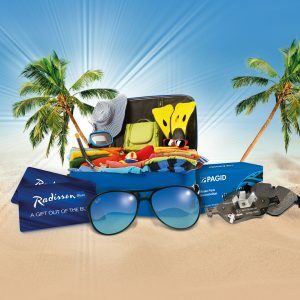 The draw has prizes including a beach holiday for two at the Blue Bay in Mauritius, indulgent Radisson Blu weekend hotel breaks, as well as some very cool Ray-Ban sunglasses. 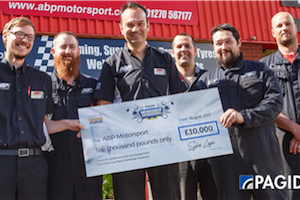 To enter the comp, trade customers just need to make a Pagid purchase from Euro Car Parts in July, and then register their purchase on the dedicated ‘Pagid Summer Brake-Away’ website. Customers can enter as many times as they like as every Pagid purchase counts – so the more products bought, the more chances to win. Customers need to retain their invoice to register the purchase on the website (and to claim prizes). Terms and conditions are on the organiser’s website.